Flint is still dealing with the lead poisoning of residents’ drinking water. Residents of Detroit are once again experiencing water shutoffs. Ontario has the highest number of Drinking Water Advisories in First Nations out of all the provinces in Canada. All the while Nestlé is allowed to pump millions of litres of water from Ontario and Michigan every day to bottle and sell for profit. I went to Detroit recently to meet with the Water Is Life coalition to talk about these and other water justice issues around the Great Lakes. Nearly 20 organizations gathered over two days to develop strategies to prevent the privatization and commodification of water, ensure affordable access to drinking water and sanitation, uphold Indigenous rights to water, protect the Great Lakes and implement the UN-recognized human rights to water and sanitation. The groups included the Council of Canadians including the Guelph chapter, Detroit People’s Water Board, Flint Democracy Defense League, Flint Rising, Chiefs of Ontario, Michigan Citizens for Water Conservation, Michigan Welfare Rights Organization, Story of Stuff, Wellington Water Watchers, Corporate Accountability International, Great Lakes Commons and more. The coalition has continued meeting since the Water Is Life: Strengthening a Great Lakes Commons summit in Flint last fall to coordinate work and develop collective strategies to advance the human right to water around the Great Lakes Basin. 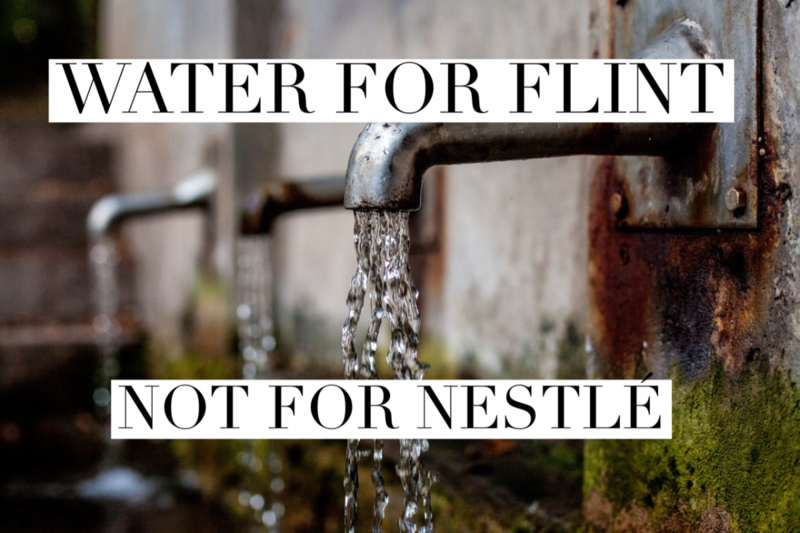 In Ontario, Nestlé continues to pump up to 4.7 million litres (1.2 million gallons) of water every day on expired permits from its two wells in Wellington County, Ontario. Nestle has purchased a third well in Elora and could be given the green light to pump once Ontario’s moratorium on new and expanded bottled water permits ends in January 2019. The City of Guelph has raised concerns about the impacts of Nestlé’s water takings on the municipality’s future drinking water. Progressive Conservative leader Doug Ford becoming Ontario’s new premier raises serious concerns about the protection of water from Nestlé and other bottled water companies. Wellington Water Watchers and the Council of Canadians have been calling for a phase out of bottled water takings in Ontario. Recent surveys by both organizations have shown that the majority of people in Ontario want bottled water takings to be phased out and for water to be protected for communities. Michigan Citizens for Water Conservation and the Grand Traverse Band of the Ottawa and Chippewa Indians (GTB) both recently filed legal challenges against the Michigan government for giving Nestlé the green light to increase its pumping from 250 gallons (946 litres) to 400 gallons (1514 litres) of water every minute. GTB have consistently raised concerns that Nestlé’s permit approvals fail to consider the GTB’s treaty rights. Six Nations of the Grand River, downstream from Nestlé’s water takings in Ontario, and the Chiefs of Ontario have stated that First Nations have not given consent to Nestlé’s permits in Ontario. CBC recently reported that only 9% of residents of Six Nations have clean water. In May, there were 174 Drinking Water Advisories in First Nations across Canada, with 91 DWAs in Ontario alone. Some of these First Nations have been under DWAs for 5, 10 and some even nearly 20 years and rely on bottled water as a Band-Aid solution. The Mohawks of Tyendinaga on Lake Ontario have had DWAs since 2003 and 2008. Despite Prime Minister Justin Trudeau’s promises to end DWAs, the total number of DWAs has remained largely the same. Different levels of government are responsible for different areas of water management. The provincial government issues Permits to Take Water to companies like Nestle while the federal government is responsible for water on First Nations reserves. But both levels of government have continued to approve projects without free, prior and informed consent as required by the UN Declaration on the Rights of Indigenous Peoples and governments must coordinate to respect treaty rights and implement the human right to water. In Detroit, the fifth round of water shutoffs began this spring. 17,000 homes were earmarked for their water to be shut off this year. Roughly 80% of Detroit residents are black. Poverty rates are also at roughly 35%. Water rates have risen in Detroit by 119 per cent in the last decade and many residents are unable to pay the high water bills. The Detroit Water Department now shares an office with the Great Lakes Water Authority. Food and Water Watch and other groups raised concerns about the potential for privatization with the regional water authority early on. The poisoning of the water in Flint over the last four years has led to urgent water and public health crises. The lead has resulted in an increase in fetal deaths and miscarriages, development impacts on children and a host of serious medical conditions. Michigan Governor Rick Snyder ordered the last water pods to be closed in April stating that they have restored water quality and the need for bottled water has ended. But Flint Mayor Karen Weaver, state representatives and thousands of residents have highlighted a lack of trust and a lack of proof that the water is now safe. The corporate takeover of water by big water corporations like Nestle around the Great Lakes and the violations of the human right to water and Indigenous rights shows that access to water often falls along racial, class and other lines. Economic globalization and unregulated market capitalism have divided the world – and the Great Lakes Basin – into rich and poor as at no time in living history and endangered the ability of the planet to sustain life. Tragically, most governments support an economic system that puts unlimited growth above the vital needs of people and the planet. I am heartened and energized by groups and communities around the Great Lakes as we continue to build a world that protects the human right to water and protects water for people and the planet. Emma is a FLOW Board Member and currently the national water campaigner for the Council of Canadians, Canada’s leading social action organization that mobilizes a network of 60 chapters across the country and advocates for clean water, fair trade, green energy, public health care, and a vibrant democracy. She has been with the Council since 2010 and has worked in the field of human rights and social justice for 15 years. She also holds an M.A. in Political Economy. Common Water, Public Health, and the Common Good: Just What Does the Term “Public Trust” Mean Anyway? FLOW’s organizing principle is the public trust doctrine. What sounds like an exotic concept is quite simple. This centuries-old principle of common law holds that there are some resources, like water and submerged lands that by their nature cannot be privately owned. Rather, these commons – including the Great Lakes — belongs to the public. And governments, like the State of Michigan, have a responsibility to protect public uses of these resources. We explicitly address public trust concerns on what we’re calling Public Trust Tuesday. The words “public trust” appear in many news and social media articles these days, and the meanings of the phrase often overlap as they should. 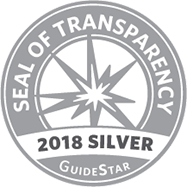 First, for those who follow FLOW’s mission and work or the news about the world water crisis, there is the public trust in our bodies of water, like our lakes and streams, or the groundwater that replenishes them. This is known as the public trust doctrine, an ancient principle in our common law that imposes an affirmative duty on government officials to protect the paramount rights of citizens concerning fishing, aquatic wildlife and habitat, boating, swimming, and access to safe and affordable drinking water. A breach of this public trust duty is legally enforceable when government fails to act or acts in a way that interferes with these rights or impairs these waters and uses. Government cannot sell off the bottomlands and waters of the Great Lakes, for instance, for a purely private purpose or gain. Government can’t authorize a landowner to fill in the bottomlands of a lake for a permanent private deck, because it would exclude the right of the public to the use of the surface of the lake for these protected public trust rights and uses. A private cabin owner can’t fence a stream and block fly fishers from wading and casting for fish. Cities can’t divert a tributary stream that impairs a downstream navigable lake. A federal judge in Oregon recently ruled that the public trust in bodies of water can force the government from dragging its feet to implement the reduction of carbon dioxide in our atmosphere, which contributes to global warming, and extreme weather that interferes with or harms citizens’ right to drinking water, fishing, swimming, and boating. Second, public trust refers to a public official’s conflict of interest or self-dealing, or breach of governmental office. This most often means an official in her or his official capacity uses that capacity to help approve a business contract for a partner or family member. Or, it might mean an official takes a bribe to vote for a lobbyist’s pet project or to influence an agency to grant a permit for a land development, mall, or perhaps a new urban water infrastructure deal that forces local governments to go along with privatizing the water services system, because the city can’t raise the taxes or collect enough user fees to fix a broken system or find a new water source. Third, there have been charges of breach of public trust over state and federal agencies’ callous inaction or deliberate indifference toward the health and well-being of citizens– that is, the failure of government to fulfill its duty to promote the common good and public health, safety, and welfare. This could well encompass what happened in the Flint water tragedy, where officials rushing to transfer Flint’s water supply from the established Detroit system to a local water plant that withdrew water from a seriously polluted river. Or, perhaps, it would cover the Detroit water shutoff of tens of thousands of poor home occupants who cannot afford a $200 a month water bill. All of these charges of breach of public trust have one common denominator: the breach of a legally enforceable duty or ethical expectation and duty to protect the common good in public land, water, health, and the general welfare. Regrettably, with increasing frequency, these breaches of public trust overlap. The water in Detroit is withdrawn from the Detroit River and Lake Huron, both public trust bodies of water. The State forced Detroit to suspend and transfer its power to an emergency manager appointed by the governor to fix the city’s bankruptcy. The emergency manager began getting rid of deadbeat customers by cutting them off from the water services, because they didn’t pay. Within a year, the once highly regarded Detroit regional water system ended up in the hands of a government created Great Lakes Water Authority, controlled by the suburbs, so Detroit could exit bankruptcy. In Flint, inaction or deliberate indifference by state and federal officials failed to prevent continued exposure to lead in the drinking water when another emergency manager, appointed to take charge of the city, hurried the switch to the Flint River. The same inaction has led to the continuing massive algal blooms that have ravaged western Lake Erie. Here, the breach of the traditional public trust duty toward protecting the destruction of fishing, boating, swimming, and recreation in Lake Erie soon led to the exposure of more than 400,000 residents served by Toledo’s public water system, a deliberate refusal to take action against influential corporate farming interests to reduce phosphorus loading from fertilizer runoff exacerbated by extreme weather caused by climate change. 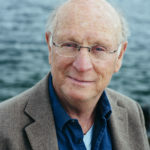 All three of these meanings of public trust point to one thing: more and more, governmental officials are fixated on protecting and promoting profit, gain, and private interests over the common good of the public– whether breach of public trust in our common waters, a breach of a duty and charge to protect the health of citizens or peddling and using influence to ignore doing the right thing in favor of a personal favor. Perhaps, upholding the public trust in our water, health, ethics, and the common good is the litmus test for the coming decade for anyone elected or appointed for public office. Ultimately, it is up to citizens to see, claim, and enforce the public trust for the good of all. It might even make for better business, jobs, economy, and quality of life that will be more lasting. What a difference 100 years makes. In 1918, a US-Canadian commission reported on the condition of the boundary waters between the two countries with an emphasis on the connecting waters of the Great Lakes. In the words of the International Joint Commission, the situation was a disgrace. It was also fatal to thousands. At the time, many communities drew their drinking water from rivers into which upstream communities dumped their typically untreated sewage. Predictably, disease resulted. Typhoid and cholera outbreaks were not rare. Among the boundary waters studied were the St. Clair and Detroit Rivers. The Commission also compiled health statistics from communities relying on the two waterways for drinking water, including Port Huron, St. Clair, Marine City, Algonac, Detroit, River Rouge, Ecorse, Wyandotte and Trenton. The results were striking: typhoid fever death rates were highest in cities whose community water supplies were drawn from the foulest water. 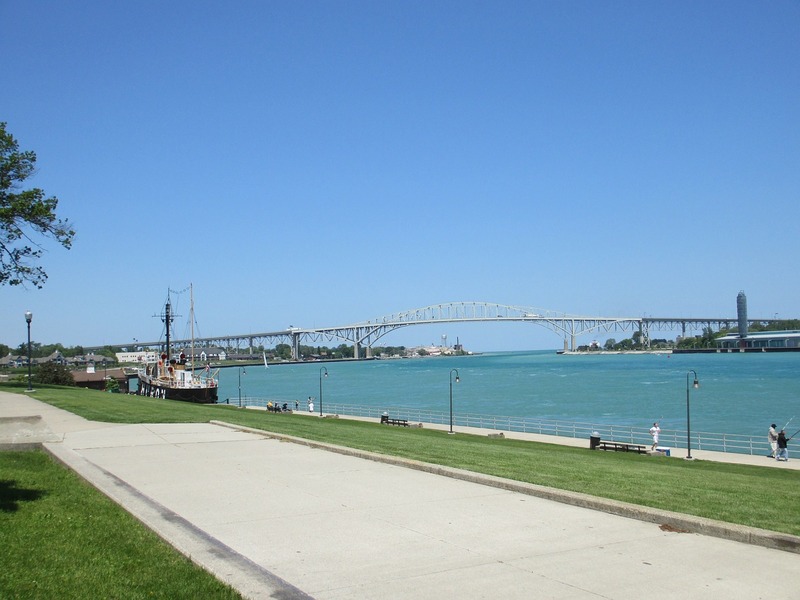 The St. Clair River was too polluted for drinking without extensive treatment for 34 miles south of Port Huron. Even worse was the Detroit River. “From Fighting Island to the mouth of the river the water is grossly polluted and totally unfit as a source of water supply…Unfortunately, Wyandotte, Trenton and Amherstburg are taking their water supplies from this part of the river,” the Commission said. Those on land weren’t the only victims. In 1907, a steamer traveling the Great Lakes pulled drinking water from the Detroit River, resulting in 77 cases of typhoid fever. In 1913, on three Great Lakes vessels carrying 750 people, there were 300 cases of diarrhea, 52 cases of typhoid and seven deaths. The report helped spur governments along the border, including Detroit and downstream communities, to chlorinate drinking water supplies and save lives. We look back on such practices as primitive. But 100 years from now, which of our practices will seem primitive to our descendants? Have we really come so far in a century, or are we creating a new generation of problems with the same shortsightedness as our ancestors? The public trust doctrine, with its intergenerational concerns and duties, can help us prevent and resolve the mistreatment of our waters. The City of Flint, through its city council, just approved a deal to return to and stay on Detroit water, now managed and sold by the suburban Great Lakes Water Authority (GLWA). This decision must be viewed as the next step, not the final outcome. Even though the city and residents will get the benefit of federal dollars, they lost their autonomy in this process and were under the coercion of a court order and the “carrot” of essential federal funding. But the city will be hit twice with water bills. Flint not only will buy water from the GLWA (formerly Detroit Board), but is also required to fulfill its $340 million obligation to the new KWA authority in Genesee County. Flint bought water from what is now the GLWA for decades before the fast, hurried switch to Flint River water for short-term gain poisoned and endangered Flint residents, and the state and federal EPA dragged their feet to recognize or do anything about it for what looks like more than a year. Led by an emergency manager appointed by the governor, the city was under pressure to get off of Detroit water back in 2014, and to pick up and connect to the KWA for Flint water as soon as a massive pipeline from Lake Huron was completed. Under the court order and Flint’s council vote approving purchase contract for GLWA (Detroit water), the residents of Flint now have to pay rates that pay for the $340 million obligation to KWA and for water from the GLWA! They can’t afford one obligation, let alone pay twice, but that’s basically what has happened. And what about their health, independent and continuous testing, monitoring, lead line replacement and abatement, medical services, and reparations to what residents suffered? This must be part of federal aid, but it is also the responsibility of the State and all of those who are responsible for this tragic fiasco of narrow self-interests gone awry. But this doesn’t do it either. We have a huge disparity, inequity, and lack of public oversight and protection of water and health when it comes to Michigan’s water and Great Lakes and our water services to residents. It is time for Michigan to establish a comprehensive “Public Water, Public Infrastructure and Water Justice Act” for all our cities and rural communities and residents. This is what Christmas and Thanksgiving and New Year should be about. Let’s remove the Grinch-like selfishness we have seen from government leaders over the past four years from our public water. It all comes from the single hydrological system of water in the Great Lakes basin. This water is held in public trust, that is the government, and everyone has a stewardship obligation to assure integrity of water and health for all of the people of Michigan, especially those least able to afford it. “My grandson that’s not here tonight, that’s twelve years old, he was to be an academic ambassador to go to Washington in the year 2014 and 2015. Well he was an A-B student but by the time the lead began to corrode his brain, he was no longer an A-B student. He was a D-E-F student,” said Bishop Bernadel Jefferson of her grandson, one of the thousands of children affected by the lead poisoning of Flint’s drinking water. 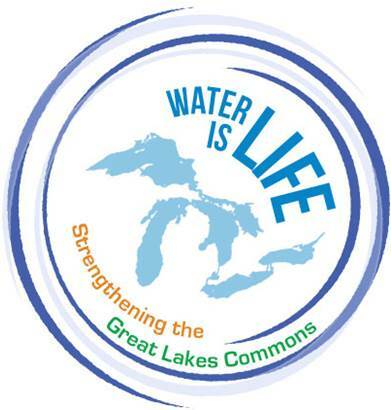 Bishop Jefferson, who is with the Flint group CAUTION, was one of the speakers on the Friday night panel of the Water is Life: Strengthening our Great Lakes Commons this past weekend. Maude Barlow gave an important keynote speech on Friday night on water justice struggles around the world and her work with other water warriors to have the UN recognize the human rights to water and sanitation. Jim Olson from FLOW gave an impassioned talk about Nestle in Michigan and the importance of the public trust. Indigenous lawyer Holly Bird talked about her work with the legal team for Standing Rock, water law from an Indigenous perspective, that governments need to honor the relationships that Indigenous people have with the water and how that can be done without someone controlling or owning water. Lila Cabbil from the Detroit People’s Water Board, who many affectionately call Mama Lila, talked about how the water fights are racialized in Michigan. “The fight we have in Michigan is very much racialized. We need to understand that truth and we need to speak that truth. Because what is happening even as we speak in terms of how Flint and Detroit is being treated would not happen if it was a white community.” She pointed out how the crises are being condoned by the silence of white people. She took a moment to remember late activist Charity Hicks who was a leader in the fight against the shutoffs and who encouraged people to “wage love”. In Canada, the lack of clean water is also often racialized. There are routinely more than 100 drinking water advisories in First Nations, some of which have been in place for nearly two decades. At the start of her talk on Saturday, Sylvia Plain from Aamjiwnaang First Nation taught the audience how to say “aanii” which is “hello” in Anishinaabe. The Great Lakes region is predominantly Anishinaabe (Ojibwe, Odawa and Potawatami). She talked about how Aamjiwnaang First Nation has had methylmercury in the sediments in their river for a couple of decades. Plain also talked about how the Anishinaabe have cared for the waters and land for thousands of years. Marian Kramer of Highland Park Human Rights Coalition and Michigan Welfare Rights Organization, told Saturday’s audience about her work to fight the shutoffs in Highland Park, a city within Metro Detroit where at one point half of the homes had their water shut off. Rob Case from Wellington Water Watchers of Ontario and Peggy Case of Michigan Citizens for Water Conservation both talked about their grassroots organizations and the local resistance to Nestle’s bottling operations. Peggy Case pointed to the larger issue of the privatization and the commodification of water. “The dots have to be connected. We can’t just look at bottled water. The right to water is being challenged everywhere. The privatization of water is a key piece of what’s going on in Flint,” she explained. The state of Michigan is suing the city of FLint for refusing to sign a 30-year agreement that requires the city to pay for a private pipeline to Detroit that will not be used by residents. In Evart, Michigan, two hours northwest from Flint, Nestlé pumps more than 130 million gallons (492 million litres) of water a year from the town to bottle and sell to consumers across the state and country. Last year, the corporation applied to increase its pumping by 60 percent. Nestlé’s current pumping and proposed expansion threatens surrounding wetlands and wildlife in the region, which at the same time violates an 181-year-old treaty that requires Michigan state to protect the habitat for the Grand Traverse Band and Saginaw Chippewa tribal use. 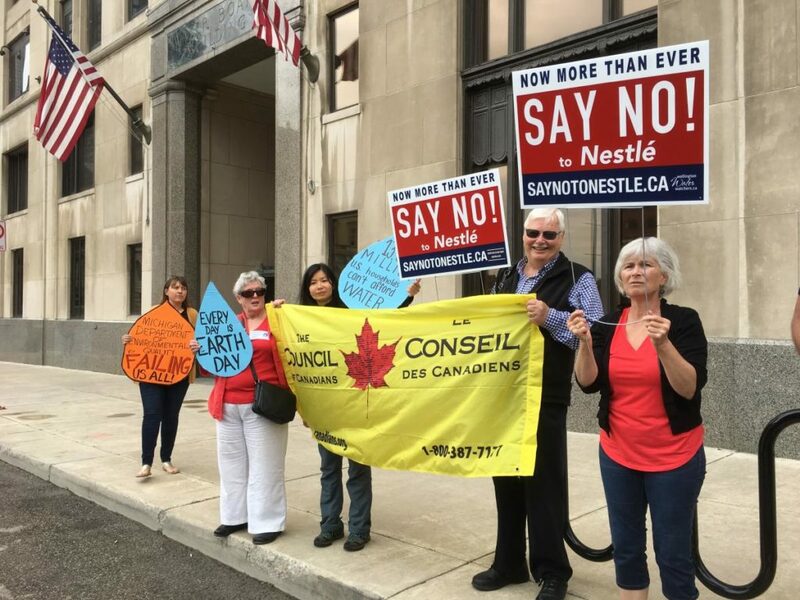 Nestlé continues pumping up to 4.7 million litres (1.2 million gallons) a day in southern Ontario despite the fact that both of its permits have expired – one permit expired in August and the other expired more than a year ago. The Ontario government is required to consult with communities on Nestlé’s bottled water applications but still has not done so. The Ontario government recently made some changes to the bottled water permitting system including a two-year moratorium on bottled water takings and increased bottled water taking fees (from $3.71 to 503.71 per million litres) but local groups and residents want more. 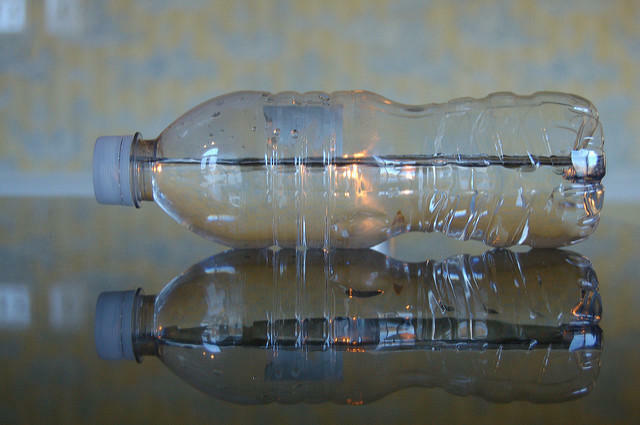 They are calling for a phase out of bottled water takings to protect drinking water. The Council of Canadians is calling Nestle’s and other bottled water takings to be an election issue in next year’s Ontario election. Summit speakers and participants were outraged that governments allow Nestlé and other water companies to take, control and sell water for a profit while failing to secure clean water for residents in Flint, Detroit, and many Indigenous nations. Days before the summit, the Guardian reported that Nestle only pays an administrative fee of $200 in Michigan while Detroit resident Nicole Hill, a mother of three, has her water shut off every few months and has to pay “more than $200 a month” for water. During the summit, participants took a pledge to boycott Nestle and single-use bottles of water. Immediately after the summit, Michigan Citizens for Water Conservation announced the organization was joining the boycott. To join the boycott, click here. Trade agreements like NAFTA perpetuate and entrench the commodification and privatization of water. Water is defined as a “tradeable good,” “service” and “investment” in NAFTA. Water must be removed as a tradeable good, service or investment in any renegotiated NAFTA deal. As a tradeable good, NAFTA dramatically limits a government’s ability to stop provinces and states from selling water and renders government powerless to turn off the tap. Removing water as a “service” would help protect water as an essential public service. When services are provided by private corporations, NAFTA provisions limit the involvement of the public sector. Removing water as an “investment” and excluding NAFTA’s Investor State Dispute Settlement (ISDS) provisions would make it much harder for foreign corporations to use trade treaties to sue governments for laws or policies that protect water. Canada has already been sued for millions of dollars for laws protecting water. Over the weekend, participants of the summit listened to these moving and inspiring presentations and participated in workshops on Blue Communities, challenging the corporate control of water, the colonial enclosure of water and more. 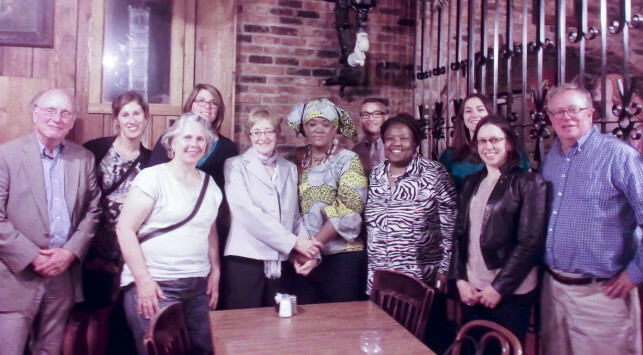 The gathering included local and Great Lakes residents as well as water justice, Great Lakes and grassroots organizations including our Guelph and Centre-Wellington Chapters of the Council of Canadians. One thing was clear at the end of the summit: participants were ready to take action to end to Nestlé’s bottled water takings in Great Lakes, work to have the human right to water implemented and bring water justice to all who live around the lakes. To watch the videos from the summit, visit FLOW’s Facebook page. 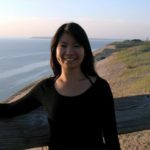 Emma Lui is a FLOW board member and Water Campaigner for the Council of Canadians. To learn more about her and her work, please visit the Council of Canadians website. When I look back over the past year, I can’t help but feel hope in the common goodness of people and communities. Closer to home, Detroit water shut-offs continue despite the devastating impact on the poor who can’t afford to pay a normal water bill, let alone the $100 a month or more claimed by the Detroit Water Board. State leaders finally stop denying the Flint water-crisis more than a year after residents demanded help, that its children and residents were exposed to high levels of lead from the city’s public water system. The problem is more endemic than Detroit or Flint, since both crises grew out of the unbridled power of Governor Snyder’s emergency manager law to usurp the power of city assets and revenues to pay debts regardless of the impacts to citizens. Flint’s emergency manager thought only of economic expediency in turning off water supplied from Detroit, and tapping into the filthy, polluted Flint River. Then there is the continual threat from the flow of oil in the aging, nearly 63-year old Line 5 pipeline under the Straits; the harm from a release or leak would be so catastrophic, the risk is unacceptable to everyone; yet the flow of oil continues without immediate temporary measures while state officials continue to study it as if it was an “issue,” and not the clear and imminent endangerment of the Great Lakes and the Straits of Mackinac – the fact is there is enough capacity within the pipeline system in the Great Lakes without Line 5 endangering the Straits. So why the hope? Other events have happened this past year that point to a new way of understanding and, perhaps, solving many of the threats that we face in the world and our communities. First, Pope Francis issued his encyclical on climate change and the environment, connecting the reality of our excessive consumptive materialism, global inequality, poverty, ecological and community devastation, and violence that follows. He carefully documented that our way of seeing and doing, our post-modern god of the law of free markets and legally justified greed, our fragmented attempts at dishing out money to help the poor are not working. He says this because we are living a material, market place illusion, and not in harmony with the reality that the earth is our “common home,” and that if we do not share its gifts and respect its inherent natural limits, earth’s water, weather, soil, and the biological diversity on which all life depends will continue to worsen to even greater extremes. He points to a new paradigm, a framework in which we work and live with the understanding that a body of water, whether ocean, Grand Traverse Bay, or Lake Chad, are a commons, part of the gift of earth as commons to all. If we do this, not only with water, but the ridge lines and forests, the beauty and land that are home to our relationships, our cities, the neighborhoods within our towns, the soils beneath our feet, the air we breathe, then we will begin to reshape our life around truth and the given limits of nature, and this will guide our living, our way of life, or economy, full and rich with newly directed creative and sustainable opportunities and entrepreneur ship. Second, amidst a world of conflicts, from Syria to the Ukraine, from our own cities, to Nigeria, Sudan, and Afghanistan, and in the aftermath of the mass murders from extreme terrorists in Parrs, the nations of the world cooperated: leaders of large and small, developed and developing, or undeveloped countries, recognized the responsibility to each other, agreed to something, the world temperature will not rise more 2 degrees, and maybe less. While it is not law yet, if taken implemented, it will help stave off global calamity greater than two world wars last century, by reducing the irreparable damage we face from climate change and global warming. There is hope in the agreement that we stop denying and see the mounting harm and set a goal that through hard-work and common sacrifice offers a way out of an unthinkable alternative for people everywhere. Third, we witnessed the bridging of differences by our Supreme Court in precedent setting cases that demand human dignity for marriage between two people, human rights to housing and water for the poor without access, as wells as the genuine search for a common goal to address wasteful and harmful water rights in the middle of the historical California droughts. Fourth, our political debate heating up even before the 2016 presidential election has pointed to something more than the old, increasingly polarized beliefs in market economy, through money at wars and problems, rather than considering the root of the problem might be the way we are looking at them. Regardless of my own or others’ political persuasion, there is a fresh voice in Bernie Sanders, laying out the case for a community based on sharing of wealth, taking care of neighbors, and our neighborhood, what Pope Francis calls our “common home,” and at the same time helping with services to the poor, respecting and honoring diversity, and encouraging new business innovation. We have been trapped in this country in a red and blue, right and left, straight-jacket of false ideology, rather than identifying those things that are essential to every one of us and providing for them as principle of our country—the common good. Fifth, then Michael Moore comes out with his latest film Where to Invade Next? Good God, here we have the message that we here in the USA had the idea, come up with the ideas, of common good, yet go in the opposite direction of individualized competition based on a law of the jungle called free markets. Everything is about profit and money and bottom line. The world is not a corporation, it is a commons in which corporations organizations are simply a means, not an end. Do we really have a choice? Our common home and communities are simultaneously local and global. It’s not just act locally, think globally, or act globally, think locally. It’s all of this and more. If we don’t act, for example, on climate change, or understand that climate change is not just an energy issue but about water and food, if we don’t move toward a renewable economy within a few years, small island countries will literally disappear, rainforests and biodiversity will disappear, coastal cities and other areas will increasingly flood and fail from even more extreme storm events or the day-to-day failure to change, adapt and embrace resilient cooperation—the common good. All one has to do is read through “4 Degrees Turn Down the Heat: Climate Extremes, Regional Impacts, and the Case for Resilience,” a report published by renown scientists and even sponsored by the more conservative World Bank. The picture is not pretty, and it would it is ignorant, even immoral, at this time in history not to act, even out of self-interest, for this common good. So I end this year and start the next with hope. At FLOW, the Great Lakes and Water Policy Center, here in Traverse City, and other organizations throughout the region, we have chosen as a mission and goal to protect the waters of the Great Lakes basin as a commons with principles, known as the public trust doctrine, that require government as trustee and people as beneficiaries, to work together to respect and protect water and community that depend on it from impairment. Private control of public waters and other public commons has always been prohibited; this is because some things essential to all of us are common to all of us. If we don’t protect the commons, we undermine the air, water, community and neighborhoods where we live. To work and live toward the common good is to work for the commons and at the same time work for yourself, family and friends. To not work for the common good, is to continue the long, slow, or perhaps not so slow, disintegration that leads to destruction of the earth, water, air, community, people, and leads to a world violent and unsafe. It is hopeful and reassuring to see positive events pointing toward this new way of seeing, understanding and doing – living and working for the protection and sustainability of our common home and the common good. They are one and the same. Here’s to another hopeful New Year. What are regulatory agencies doing to fix the problem? Currently, the U.S. Environmental Protection Agency (EPA) is conducting an investigation over the steps taken to address Flint’s drinking water issues following State Representative Dan Kildee (D-Flint) and State Minority Leader Jim Ananich’s (D-Flint) written requests. Along with the EPA investigation, Michigan legislators are pushing for a review of the controversy over the EPA’s oversight on Michigan’s Department of Environmental Quality (MDEQ). State Representatives Sheldon Neeley (D-Flint) and Phil Phelps (D-Flushing) assert that MDEQ withheld information on the water quality from the Flint River in order to meet federal drinking water quality standards. The legislators are also requesting for the dismissal of Dan Wyant as the Director of the MDEQ. Flint’s drinking water crisis began in April of 2014 when the city of Flint decided to stop receiving their drinking water from the Detroit water supply. The plan was to switch over to a new water supplier (Karegnandi Water Authority). The high water rates imposed on Flint residents and budget cuts in the Flint financial management plan were the reasons behind the switch in suppliers. But there was a problem: Karegnandi will not be done constructing their new water lines to draw water from Lake Huron until sometime in 2016. In the meantime, Flint officials decided to temporarily draw their drinking water from the Flint River. However, as soon as the switch was made from the Detroit water supply to the Flint River, Flint residents complained about the odor and coloration of their drinking water. Resident complaints grew, and ‘boiling advisories’ were soon issued to kill off harmful bacteria in the water due to the aging water lines. Water tests soon revealed high levels of a chlorination byproduct linked to cancer and other associated health problems. Even with the drinking water advisory notices, residents were told by city officials that the water was safe to drink. In September of 2015 – over a year after extracting water from the Flint River – a group of researchers from Virginia Tech tested hundreds of water samples and found 40% of the samples to contain high levels of lead. Due to the corrosive nature of the Flint River water, lead from the aging pipes was leaching into the City’s drinking water, and blood tests of Flint children showed elevated lead levels. These results clearly indicated that Flint had to stop receiving their drinking water from the Flint River, and reconnect to the Detroit water supply. The switch was made October 16, 2015 to the Detroit water supply with the help of $9.35 million authorized by Governor Rick Snyder. The problem to Flint’s water crisis is not resolved. Even after three weeks with the city of Flint reconnected to the Detroit water supply, advisories are being given to hold off on drinking the tap water unless there is an installed water filter. Leaching of lead into the drinking water from old pipes is still possible because the protective layer to prevent corrosion in the pipes is worn away. Flint residents are also facing the issue of water shutoffs. Many Flint residents stopped paying their water bills once they found out their water was not drinkable. But after Flint reconnected with the Detroit water supply, the city started notifying those residents that they will issue shut offs if bills are not paid. Charity Hicks, a visionary, cultural, and community leader in Detroit passed away after a serious bus accident in New York July 9th, 2014. 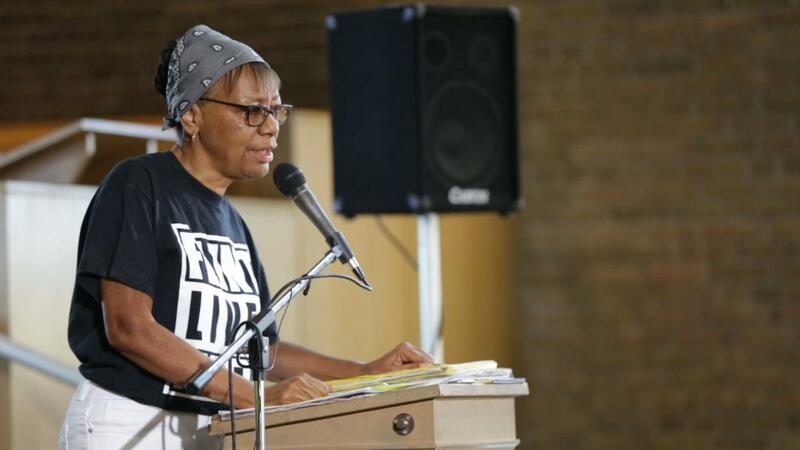 Charity had led the fight of the Detroit People’s Water Board against political efforts to privatize Detroit’s water system and shut off water to and otherwise marginalize Detroit’s residents and poor neighborhoods. Our hearts, blessings, and sympathy, go out to Charity, her husband, family, and friends. This is a loss hard to take, but her vision for Detroit must be honored and hopefully transformed into the preservation of Detroit’s water as public with the right to water for all residents for their needs and health. Details of arrangements will be forthcoming. To watch the CBC news report, click here. The New York Times article can be found here. 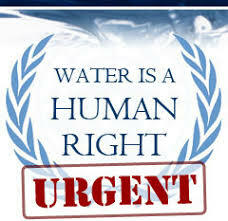 Violations of the right to water in Detroit highlighted, UN responds. Council of Canadians to organize water convoy to Detroit.